It may sound like a joke or a game, but if you ever experience rebound insomnia after stopping sleeping pills, you won’t find it funny. What is rebound insomnia? 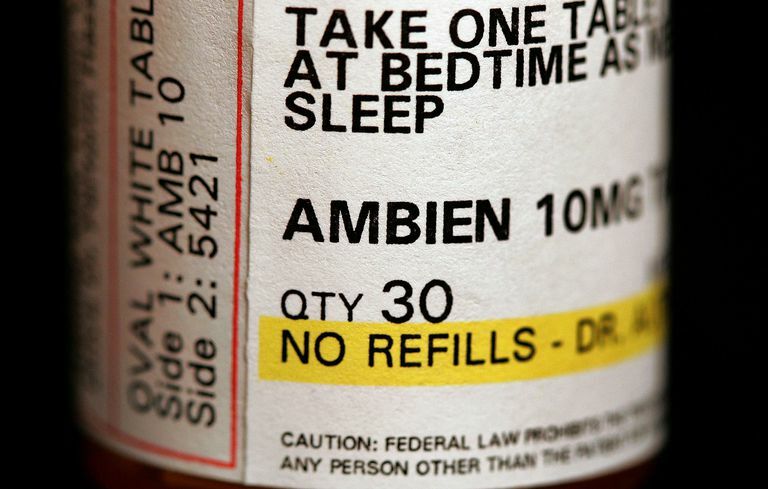 Learn how this condition occurs with the discontinuation of sleeping pills (including Ambien or zolpidem, Lunesta, Benadryl, Klonopin, Ativan, and more), how long it lasts depends on half-lives, and how to avoid and treat the detrimental effects on your ability to sleep. Rebound insomnia is defined as difficulty initiating or maintaining sleep that is worsened in the context of the abrupt discontinuation of sleeping pills. Insomnia may be worse than ever, leading some to experience a complete loss of sleep that lasts for hours or sleep that may be worsened over days. The use of sleeping pills enhances chemicals that are naturally present in the brain and nervous system. Depending on the medication, these might include neurotransmitters like GABA, serotonin, or tryptophan, and the hormone melatonin. One medication, Belsomra, blocks the wakefulness signal delivered via orexin (or hypocretin). When the sleeping pill is suddenly withdrawn, the brain is left in a lurch, almost like you pulled the rug out from beneath it. The systems of sleep and wakefulness have come to expect the presence of the drug’s chemicals. Your internal system may even be down-regulated to some degree to manage these increased chemical levels. If you suddenly stop taking the sleep aid, there is a deficit that is not initially compensated for. This can be understood in terms of tolerance and dependence. When someone becomes tolerant to medications like sleeping pills, they discover that they need more and more of the medication to get the same effect. It works less and less well and may stop working completely. Depending on the medication used, this may result in a physical dependence. Some of the prescription medicines, including the benzodiazepines like Klonopin and Ativan, may lead to a withdrawal syndrome if they are taken at higher doses and suddenly stopped. This can lead to changes in blood pressure and heart rate and may even evoke a seizure. How Long Does Rebound Insomnia Last? Rebound insomnia is more likely to occur following the daily use of a sleeping medication, especially at higher doses, when it is suddenly stopped. It may occur with any of the over-the-counter or prescription sleep aids. The intensity of the rebound insomnia may depend on your sensitivity to its withdrawal. It may be exacerbated by other factors that contribute to insomnia. It also will be experienced more acutely if the drug has a shorter half-life, with the levels falling more precipitously. In general, the half-life of the medication may provide some guidance in the duration of the resulting rebound insomnia. A drug’s half-life is the amount of time it takes for 1/2 of the drug to be metabolized, dropping its levels within the body. For example, if a drug has a 4-hour half-life, its levels will fall to 12.5% of the initial levels within 12 hours (50% in 4 hours, 25% in 8 hours, and 12.5% in 12 hours). A drug with a short half-life will be out of your system quickly and the rebound insomnia may be more intense and start sooner. Fortunately, it will also resolve more quickly, often fading within a few days up to a week after stopping the medication. Longer-acting medications may not have as pronounced of rebound insomnia, but it may take longer for the drug to fully leave your system. These drugs are more likely to cause residual morning hangover effects. If you are taking a medication for insomnia and as soon as you stop it your insomnia comes back, sometimes worse than ever, you may tell yourself that you really need the drug in order to sleep. These effects are short-lived, often resolving over a few days up to a week. It can be very helpful to reduce the dose gradually under your doctor’s supervision. This is especially important if you are taking higher doses or using benzodiazepine medications. You may be tempted to substitute a new medication for the one that you are discontinuing. Resist this temptation. It becomes an endless shell game: swapping one medication out for a new one. Instead, consider fixing your wake time in place, get 15-30 minutes of sunlight upon awakening, and go to bed when you feel sleepy. By delaying your bedtime with sleep restriction (only spending 6 to 7 hours of time in bed) during the time of the rebound, you will fall asleep easier and counteract these adverse effects. An ounce of prevention may be worth a pound of cure. In general, it is best to avoid the daily use of sleeping pills. Do not allow yourself to escalate the doses, especially beyond what your doctor has recommended for you. Try not to use multiple medications at once and do not use them with alcohol as this may potentially lead to overdose and death. If you find that you need sleeping pills beyond 2 weeks, speak with your doctor about other options, including the use of cognitive behavioral therapy for insomnia (CBTI). This therapy can be very effective to help you to taper the medications while putting some other skills in place to prevent the insomnia rebound. Epocrates Rx Pro. Version 15.12, 2016. Epocrates, Inc. San Mateo, California. Qaseem A, et al. "Management of Chronic Insomnia Disorder in Adults: A Clinical Practice Guideline From the American College of Physicians." Ann Intern Med. 2016;165(2)125-133. Sateia MJ, et al. "Clinical Practice Guidelines for the Pharmacologic Treatment of Chronic Insomnia in Adults: An American Academy of Sleep Medicine Clinical Practice Guideline." Journal of Clinical Sleep Medicine. 2017;13(2):307-349.